Gifted children need special resources. Grants and scholarships; programs, catalogs, and publications. by Carolyn Callahan and Jonathan Plucker Ph.D. 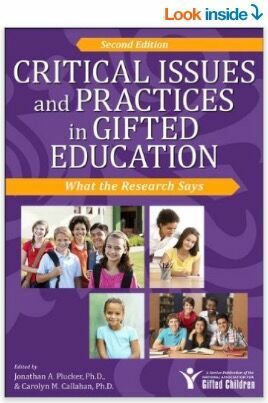 The definitive reference book for those searching for a summary and evaluation of the literature on giftedness, gifted education, and talent development. Chapter 24, partially viewable with ‘Look Inside,’ is about homeschooling gifted children: what is known and what is not. This second edition updates every topic with new research and introduces several critically important topics such as cluster grouping, Response to Intervention, programming standards, the Common Core State Standards, educational leadership, and legal issues. Our Bright Ideas catalog features materials for educating your bright chid. A research-based curriculum designed to provide the latest in educational strategies for talented homeschoolers. Publisher of MCT Language Arts Curriculum. At Royal Fireworks Press our aim is to support parents dedicated to developing in their children a life-long love of learning, a broad understanding of the world of the intellect, and core competencies in academic areas. Good starting point for locating resources for your talented child. A private foundation that offers free services and grants to profoundly intelligent young people, their parents and the professionals who serve them. An array of gifted and talented resources. Unique resource for finding the right mentor for a gifted child, or for adults wishing to become mentors. The foundation wants to help gifted children in developing their talent, by giving them financial and other support. Facebook page. Giftedness and education from the perspective of social psychologist, Steven M. Nordby. Great list for anyone needing educationalese for official reports. The subject of our bi-monthly publication is twice-exceptional children, those who are gifted and have learning and/or attention difficulties. 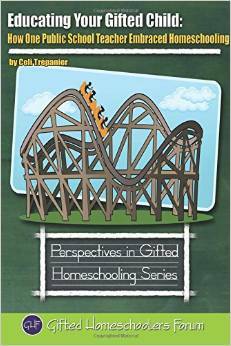 Publication and conference for parents and teachers of gifted children.